The Best Australia Travel blogs from thousands of top Australia blogs in our index using search and social metrics. Data will be refreshed once a week. Also check out Australian Travel Youtube Channels. Australia Travel newsletter is a comprehensive summary of the day's most important blog posts and news articles from the best Australia Travel websites on the web, and delivered to your email inbox each morning. To subscribe, simply provide us with your email address. Queensland About Blog Join us in our travels as we explore the natural landscape, cities, wildlife and cuisine of Australia, Japan and the world beyond. Australia’s a huge country, so I’m currently planning how best to explore and share as much of it as possible. You’ll find some inspiration, useful information and planning tips that will help you on your own adventures. Facebook fans 850. Twitter followers 13,648. Mascot NSW About Blog Our researchers travel far and wide to bring you the very best in travel news and opinion. Thrifty's franchise strategy is about strengthening our network through local ownership and management by people who will provide a level of service that sets us apart from our competition. Facebook fans 12,535. Twitter followers 11,822. Hertford, UK About Blog Freedom Australia is a passionate and professional travel company offering everything you need for an unforgettable holiday to Australia. With Freedom Australia you can pick and choose exactly the accommodation, tours and experiences you are looking for and blend them together into the perfect holiday. Facebook fans 14,996. Twitter followers 2,150. Italy Australia About Blog Rocky Travel an online travel guide to help you travel smarter, longer and cheaper which offers first-hand travel planning help and personalized travel itinerary for the independent solo traveller who wants to explore Australia. Here you will learn how to become a savvy traveller and travel Australia on your own. Facebook fans 3,232. Twitter followers 12,458. Australia About Blog Australian Travel Bloggers Alan and Rosalind Cuthbertson who blog about Australia travel and International Travel. How to stretch your travel dollar further. Join us on our world travels and learn how you can travel smart without sacrificing comfort. Facebook fans 3,124. Twitter followers 7,816. Australia About Blog Travel Australia in style. Our campervan hire Australia packages are ideal for discerning travelers. Sydney to Melbourne, Perth, Darwin, Brisbane or Adelaide. Our mission is to take people into the outdoors for an adventure and make their one of the best holiday their ever had. Facebook fans 483. Twitter followers 85. United Kingdom About Blog STA Travel is a global travel specialist with 30 years experience advising young people on holidays and adventures abroad. We offer a unique range of flights, accommodation, tours and expeditions in worldwide. We cover tips and advice, and bring you inspirational content about the destinations we travel too. Facebook fans 1,418,541. Twitter followers 109,806. Facebook fans 36,656. Twitter followers 80,585. New Zealand About Blog Blog by Rhonda Albom. She shares photos, adventure stories, and travel tips from their expat life in New Zealand and their around the world visits to 52 countries. Facebook fans 2,463. Twitter followers 27,328. Vancouver, British Columbia About Blog Blog by Hayley Simpson an Australian expat. Here I share with you all my absolute favourite places to visit in Australia. I have lived in four out of the eight states and territories. Facebook fans 266. Twitter followers 2,095. Chicago, IL About Blog Down Under Endeavours handcrafts dream vacations to some of the most exotic, rejuvenating and exciting places on earth. Our team consists of expert travel planners, passionate about good, old-fashioned service, and for exploring the world’s exotic destinations. Facebook fans 5,681. Twitter followers 549.
australia About Blog Blog by Sofia Machado. This is a platform to share and inspire people to travel and engage in new experiences wherever they are and whenever they can. It is aimed towards those with a passion for travel and provides its readers with genuine and unique experiences inspiring people to experience the world. Facebook fans 5,047. Twitter followers 844. Olinda, Victoria About Blog Australian Family Travel Blog. Travel in Australia is awesome! From the exquisite coastline, through tropical and cool temperate rainforests, over the mountains and into the Outback many new adventures are to be found. Facebook fans 2,534. Twitter followers 1,341. Australia About Blog Orbit World Travel is Australasia’s largest locally owned travel management company. With 14 offices in Australia, New Zealand and beyond, Orbit World Travel offer award winning corporate travel management, industry leading travel technology, leisure travel and event management solutions. Facebook fans 3,249. Twitter followers 581. Western Australia About Blog This place inspires you to visit and get out and about in Western Australia. I hope you’ll find helpful tips, answers to your questions, feel good stories and inspiration. So if you want to wine, dine, recline and have a good time in WA, you’ve come to the right place. Run by Johanna Castro. Facebook fans 980. Twitter followers 1,523. London About Blog Kat is Travelling, the writer behind the blog and part-time traveller with a never-ending bucket list. This blog shares all of the great things that she was lucky enough to get to do during her immersive travels through culture, nature and adventure at Australia. Blog by Kat. Facebook fans 421. Twitter followers 3,183. Australia About Blog Australia's most popular news site. Bringing you the latest breaking travel news from Australia and around the world. Facebook fans 764,776. Twitter followers 452,018. London About Blog A weekly round up of Australian travel news from our features editor Brigid Delaney. Facebook fans 6,643,268. Twitter followers 6,055,833. New South Wales, Australia About Blog Blog by Ellie. Here you will find some useful guides to help out anyone else who wants to take some time out to travel Australia. Sydney, Australia About Blog Travel Blog for the smart traveler. Features tips and advice on how to get inspired, live in the moment, and make it count. From Sydney, Australia all around the world. Facebook fans 7,415. Twitter followers 5,444. Melbourne on the road About Blog The Love Assembly is Your Guide To Living A Creative & Curious Life. Wander through a world where Travel meets Style. Be inspired to create the work you love and go on the greatest adventures of all through love, life and business. Facebook fans 5,444. Twitter followers 1,238. 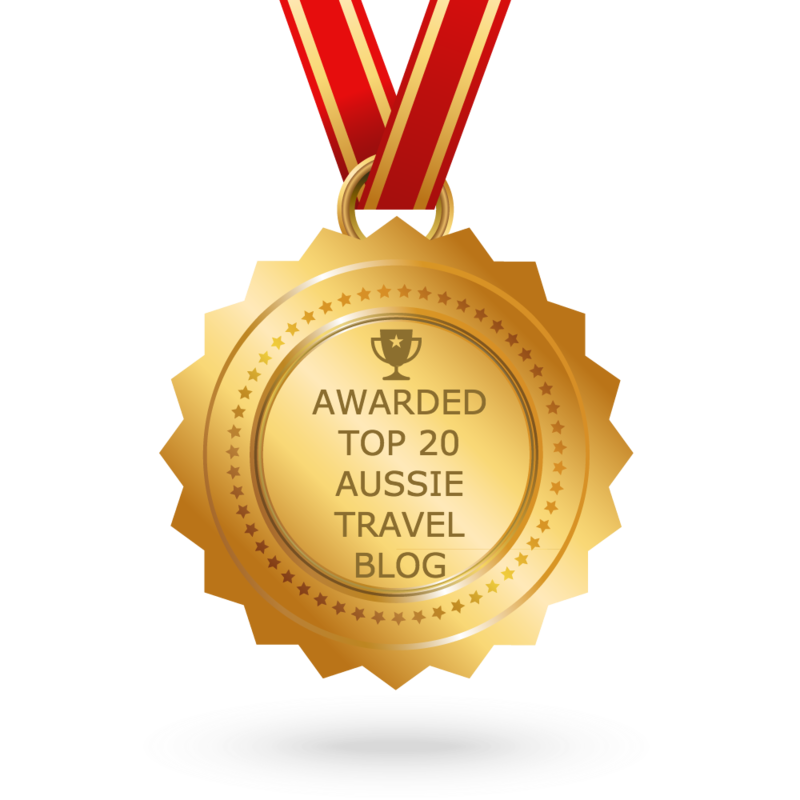 CONGRATULATIONS to every blogger that has made this Top Australia Travel blogs list! This is the most comprehensive list of best Australia Travel blogs on the internet and I’m honoured to have you as part of this! I personally give you a high-five and want to thank you for your contribution to this world.